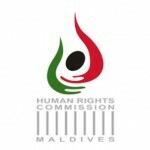 The Human Rights Commission of the Maldives (HRCM) has condemned the Maldives Police Services’ claim its Vice President Ahmed Tholal had called police officers “traitors” on Friday. In a live blog on the opposition’s mass Friday protest, police claimed Tholal had called officers traitors while disembarking from a speedboat returning from Dhoonidhoo Island Detention Center following a visit with former President Mohamed Nasheed. Condemning the police’s “false accusations,” the HRCM in a statement yesterday said Tholal and his family had started receiving threatening phone calls and messages. Meanwhile, Tholal, in a tweet described the accusation as “politically charged” and said he would resign if police are able to prove their claim. “But if I’m proven right, who’ll resign from the police?” he asked. Who do I report threats to me and my family I’m receiving because of @PoliceMv publicizing a lie? Speaking to Minivan News, Tholal said the HRCM’s Secretary General (SG) Shamoon Hameed and staff who were present in the speedboat would testify no such incident had taken place and that there had been no confrontation with the police at all. The police have asked the People’s Majlis’ Independent Institutions Oversight Committee to investigate the case. The HRCM said the police’s accusations undermines public trust in the commission and obstructs it from carrying out its mandate. It has asked the Police Integrity Commission to investigate the incident. Last week, a group of five angry men entered the HRCM offices and threatened to assault the five Human Rights Commissioners. According to HRCM member Jeehan Mahmoud, the group had been unhappy over a statement issued by the commission on February 23 condemning the police’s mistreatment of former President Nasheed at the Criminal Court. The opposition leader, currently in pre-trial detention, claimed he had sustained injuries when police manhandled him and dragged him into the court on Monday prior to the first hearing of a sudden terrorism trial. Nasheed limped into the courtroom with his arm in a makeshift sling. The HRCM statement said police had used disproportionate force, and urged the state to immediately extend medical attention and access to a lawyer. Meanwhile, Hameed last week said police refused to allow the HRCM to conduct an independent medical examination of the former president. However, the police have denied Nasheed sustained any injuries, with Superintendent Hamdhoon Rasheed telling the press on Wednesday (February 25) that an X-ray taken of Nasheed’s shoulder at the doctor’s request did not reveal any injuries. “Doctors have assured us that President Nasheed did not sustain any injuries,” Rasheed said. The police ‘use of force review committee’ was also conducting an investigation to determine if excessive force was used, Rasheed revealed. The Supreme Court in September initiated suomoto proceedings against the HRCM, charging the commission with undermining the constitution and sovereignty of the Maldives by spreading lies about the judiciary in its Universal Periodic Review (UPR) submission to the UN Human Rights Council. The case is still pending at the Supreme Court. The HRCM has denied the apex court’s claims. "Baaqee" does not mean "traitor". 'Baaqee" means a person or group who has toppled a people elected government. So, you called police 'traitors'? After all, they're heroin-peddling bags of feces that wear body armor to look tough and get their kicks out of harassing and groping women on the street.